After last week’s Ready Player One, I made a return to Young Adult Vampire Fiction with Thomas Galvin’s Sire. No matter how many times I try to move away from this genre, I always seem to come back. Sire tells the story of Caitlin, a college freshman who discovers the existence of vampires after she gets kidnapped by one. Of course she ends up falling for one, but what was refreshing about Sire is that there wasn’t the formula love triangle. It’s nice to read a YA novel where girl meets boy. Girl falls for boy. Boy falls right back. The other aspect of the book that I really liked was how animalistic the vampires were. Sure they’re also pretty, but these vamps have claws and aren’t afraid to use them. This reminded me of how vampires used to be described pre-Twilight. So much vampire lit out there tries to domesticate vampires, and Galvin constantly reminds you that vampires are predators, and humans are their source of food. Galvin took many of the things I love about other books/films/shows in this genre, and left out all the things I hate. None of the girls are weak. None of the guys are “perfect.” Everything doesn’t always work out the way you plan. Sometimes people you care about die. Life is complicated, and becomes even more so when you introduce vampires and werewolves into the picture. Caitlin finds this out in her first day at college, and the story takes off from there. Sire moves at a break-neck pace that makes it hard to put down. For more information on the novel be sure to check out author Thomas Galvin’s blog, and join his book club. Control or be controlled . . .
Stefan and Damon thought they knew evil. But nothing compares to Samuel, the ruthless vampire hell-bent on avenging Katherine’s death by destroying the Salvatore brothers. Reeling from Samuel’s latest attack, Stefan and Damon find help in the most unlikely of places—a secret coven of witches. Together they discover Samuel’s plan is more sinister than they ever could have imagined. Their only hope is to stop him before he secures the power to control humans and vampires alike. If they fail, not only Stefan and Damon but all of London will fall victim to Samuel’s spell. I’ll be the first to admit that these books are not the best written, and they have nothing to do with the television show. Despite all this, I always feel compelled to keep reading. Mostly to give a side-eye to all the inaccuracies, I have to admit that Stefan’s Diaries are quite fun to read. 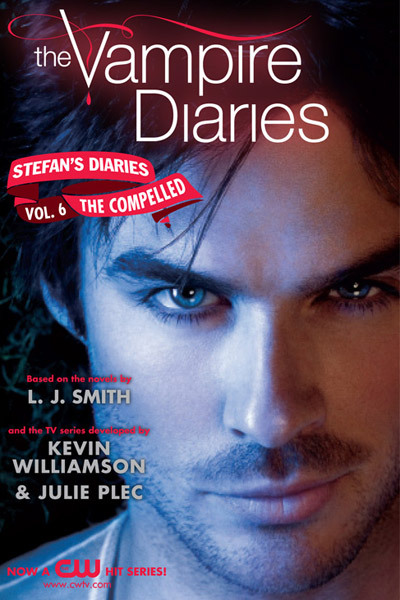 *Note: Stefan’s Diaries are part of The Vampire Diaries book series (prequels), but they are on a timeline based on events mentioned in the television series, not the original books written by author L.J. Smith. However, the events in the books have been altered from the series. Makes no sense I know. I’m just as confused as you are. Thanks so much! I really appreciate that.